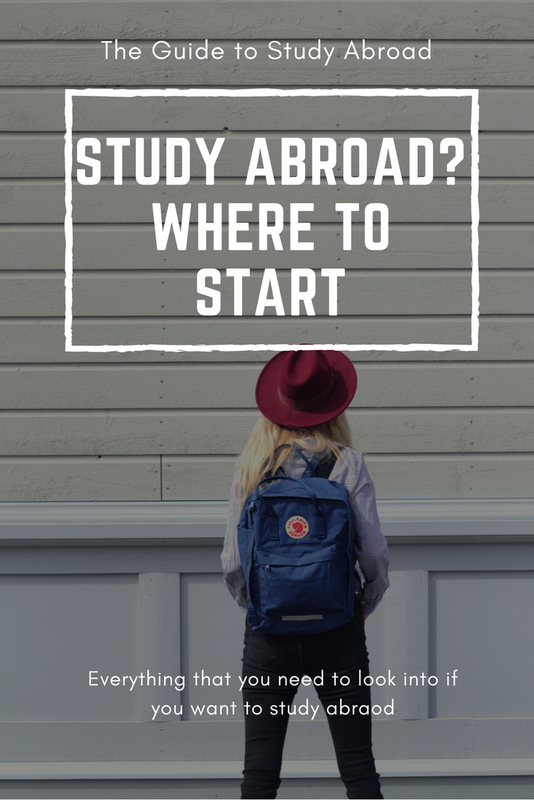 Study Abroad: Where to start? Now that I am officially done with my thesis, aka the most stressful event in my life so far, I can now focus on actually getting to Scotland. Now I am pretty sure the second most stressful event in my life will be all the fun that comes with actually getting to Scotland. With this joy of an application process, I thought that I would share all that I have figured out as both a guide for anyone who plans to study abroad in the future and also to anyone who has done this and can point out any tips that they have! 1. The first thing to do is find where you want to apply to. This search/process should start about a year before you would be starting there. Graduate Applications for me were due at the start of February with a Fall start that I then pushed back to spring. 2. Once you apply and GET ACCEPTED, the fun stuff starts. Now you will need to work towards getting you an unconditional offer. An unconditional offer for me meant that I had to have proof that I have my Masters degree, for others this may mean proving that you have your bachelors. Whatever you need for you unconditional offer make sure that you try to get this done asap. 3. Once you have an unconditional offer, you then get your CAS. This is what you need for applying for your visa. 4. Applying for your visa. Things differ from place to place but here is the rundown of what I am doing for mine. Online application and the information that you need for the application. Parents information, where they were born and birth date. Travelling plans aka why you need a visa. Pay your online fee (about 500 USD) and schedule your appointment for fingerprints at a biometrics centre. Shipping label to be used for sending back your passport to you. Wait and hope that you pass. They may also request that you submit additional information, so be ready to submit anything that they may ask for. 5. Plan your trip and get to packing. Of course, you also need to include finding an apartment/place to live, anything that your university may require that you do, and say your goodbyes. 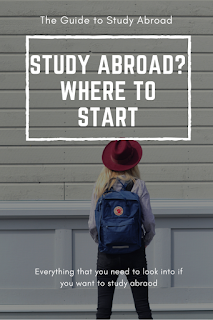 Well, hope this list gives you kind of idea about 'Where to start when you want to study abroad'.